Considered the pre-eminent bass clarinetist of his generation, Michael Lowenstern has performed to critical and popular acclaim throughout the Americas and Europe. He has performed, recorded and toured the U.S. and abroad with ensembles of every variety including The Klezmatics, The Steve Reich Ensemble, The Orpheus Chamber Orchestra, and the Chamber Music Society of Lincoln Center, with whom he will be touring throughout the summer and fall of 2001. 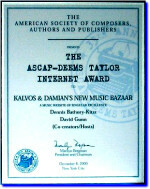 In September 2000, Lowenstern accepted an appointment with the New Jersey Symphony. Also active as a composer, Lowenstern has written music for concert, recordings, dance, film, CD-ROM, and his own performing ensembles. He is currently working as the head composer for Grey Advertising's e-Marketing division, writing internet or "e-jingles" for clients such as Oracle, Warner Brothers, Chase Manhattan Bank and British Airways. 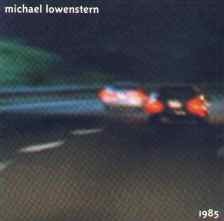 Actively involved with new technology in sound and music, Lowenstern is one of this country's leading producers of creative electro-acoustic music, both for his own works and in collaboration with other composers. To date he has been recorded on over thirty CDs; he has two solo recordings, the critically acclaimed "Spasm" (1996) on New World Records, and his newest "1985" (2000) on Capstone Records. In 1989, Lowenstern was the recipient of a Fulbright grant to study in Amsterdam, and in 1991 was the top prizewinner at the International Gaudeamus Competition in Rotterdam, The Netherlands. Featured in the 20th Anniversary issue of Keyboard magazine, Titus Levi wrote, "Lowenstern's fierce bass clarinet playing always injects a sense of urgency into the mix." 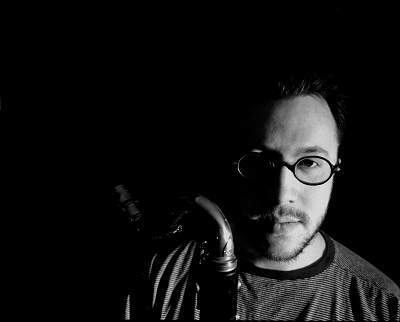 In addition to performing his own works, during the past decade, Lowenstern has contributed significantly to an instrument that remains underrepresented in American solo literature by commissioning over twenty American composers to write solo works for the bass clarinet. He received his training from the Eastman School of Music (BM, Performer's Certificate), the Sweelinck Conservatorium Amsterdam (Artist's Certificate), and the State University of New York at Stony Brook (MM, DMA), studying clarinet and bass clarinet with Charles Neidich, Harry Sparnaay, Richard MacDowell and John Bruce Yeh, and composition with Daniel Weymouth. Lowenstern is on the faculty of the Juilliard School. He lives in Brooklyn, New York, with his wife Katherine and daughter Ariel.